I adored reading this rom-com of R.S. Grey’s, but I enjoyed it just as much, if not a little more, as an audiobook! I’m totally the type of listener who likes to get audiobooks of books she’s already read and loved, so The Allure of Julian Lefray was right up my alley. It’s a sweetly romantic listen, with tons of laugh-out-loud moments and main characters who have great chemistry. Renee Givens and BJ Pottsworth were wonderful narrators for Jo and Julian – I’d definitely listen to them again! Josephine Keller is a fashion blogger who has just moved to NYC in the hopes of making a career in the fashion industry. Landing a job is her first priority, as she’s practically broke and all alone in NYC, but she’s lucky enough to score a job working not for famous fashion designer Lorena Lefray, but Lorena’s very attractive brother Julian. Julian himself is highly intrigued by and attracted to his new assistant, though he knows he shouldn’t feel the way he does about her. A romance between is pretty forbidden, so they become close friends instead, trying to ignore the underlying chemistry. Jo can’t risk losing her job if she enters into a relationship with Julian, her boss, but they spend so much time together that their friendship quickly, genuinely turns into something more. I loved Renee Givens’s narration! She does a really good job not just voicing Jo and her narrative, but also the different accents of people Jo encounters in NYC. BJ Pottsworth has a deep voice that’s easy to listen to and fits perfectly for Julian. Whoever chose the narrators for this audiobook were spot on! A great narration and a fun story made The Allure of Julian Lefray a fantastic listen. It’s a feel-good office romance that is sweet and hilarious. If you’re in the mood for an quick, fun, sweet audiobook, you should definitely spend a credit on this one! 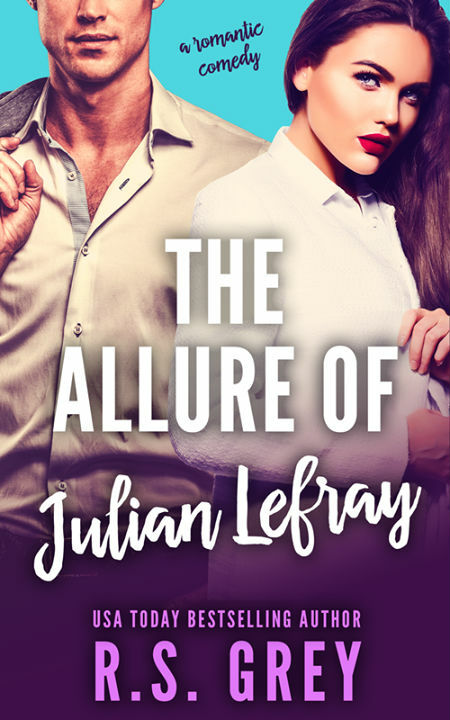 Here’s an audio excerpt from The Allure of Julian Lefray! It looks like a good read! I would like to read it! Bummer audio books are so expensive. I love them and they allow me to get my walk on while listening. This sounds cute. Looking forward to reading it. They do cost quite a bit more than an ebook, sadly, but sometimes it’s worth it! You could sign up for a credit once every other month, which is what I did! Oh, that’s a good idea. Thanks! Love your reviews! Thank you for sharing. Sounds like a good read . Thank you for the review . Thank you! Hope you give it a try!! Love the title! The book sounds too cute. I haven’t listened to an audibook before. I might have to check this one out! I love it too! You should definitely give it a try – audiobooks are the best! And so useful for multitasking.